I love a Blogging Challenge! I’ve taken part in one or two blogging challenges including the A-Z Blogging Challenge 2013, Blogging 101 2015 and Writing 101 2015 among others. I find it helpful because it gives me focus and helps me to avoid procrastinating. As we approach November, you may or may not know this is NaNoWriMo, which sounds silly until you know it stands for National Novel Writing Month. It’s where writers get together online and encourage one another to write a novel of around 50,000 during the month of November. I’ve tried this in previous years and although I haven’t written a novel, in three years I have accumulated over 11,000 words. I’m pleased, because I wouldn’t have written them without belonging to the group! Not everyone writes fiction, and there are several spin-off events for writers of other genres. These include non-fiction writing, drawing, playwriting and blogging. There are some links at the end of this post if you’re interested. 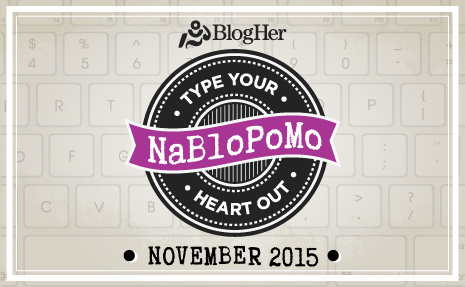 I was drawn to the blogging challenge which involves blogging every day during November. I like this one because it leaves you free to choose what you blog about, so you can make it personal to your own blog. There are prompting suggestions if you run out of things to write about, and you join the group which means you get encouragement from other bloggers taking part. So you can make new friends, get more followers for your blog and give out lots of ‘likes’ and ‘comments’. I am planning this event quite carefully for myself, so I don’t panic and have to post some rubbish blogs that I just threw together at the last-minute. I will also be working on the Novel, for NaNoWriMo again, although my main focus is still on the genealogy course I’m taking. This months homework is to write a biography of one of my grandparents, so I will use my blogging here to organise my thoughts, documents and photographs. The plan currently is to write about my paternal grandfather, Joseph Taylor Dinnis. So, here I go! Wish me luck as I set sail on the good ship NaBloPoMo 🙂 Let me know if you are taking part in any of the events and I will look out for you in the chat rooms. This entry was posted in A - Z Blogging Challenge 2013, Blogging 101 2015, jackiedinnis and tagged blogging every day during November, drawing, NaBloPoMo, NaNoWriMo, non fiction, November, Playwriting. Bookmark the permalink. 3 Responses to I love a Blogging Challenge! I’m the founder of NaNonFiWriMo or WNFIN. In April, I run National Book Blogging Month. Check it out here: http://howtoblogabook.com/the-blog-a-day-challenge/national-book-blogging-month/ You might enjoy blogging something more than a post.